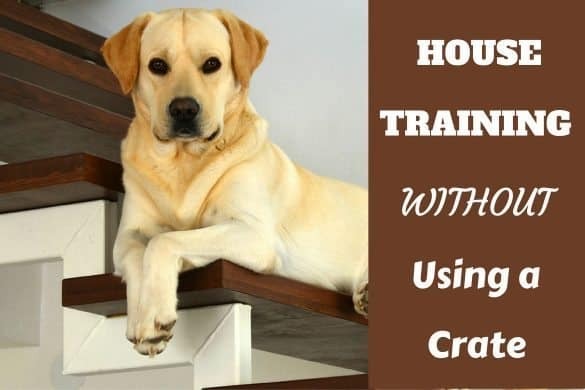 Home PUPPIES	What Is Puppy Socialization? Why Is It So Important? Puppy socialization is a crucial part of raising a happy, healthy, and relaxed dog. But what is puppy socialization exactly? And how does it involve you? Like all puppies, your Labrador begins learning and exploring the moment they are born. Under the supervision of his ever-watchful mother, they will taste, touch, and smell their surroundings – not only to satiate their natural curiosity, but to help them feel safe and comfortable in their surroundings. By the time your puppy has left their siblings and mother behind, they will have learned a lot about being a dog, but they probably won’t know much about the world outside of the little slice where they were born. And that’s where you come in. Not only do you have to love, care for, and train your new pup, but one of your most important jobs is to socialize your puppy, introducing them to the new and exciting world they’ve been born into. 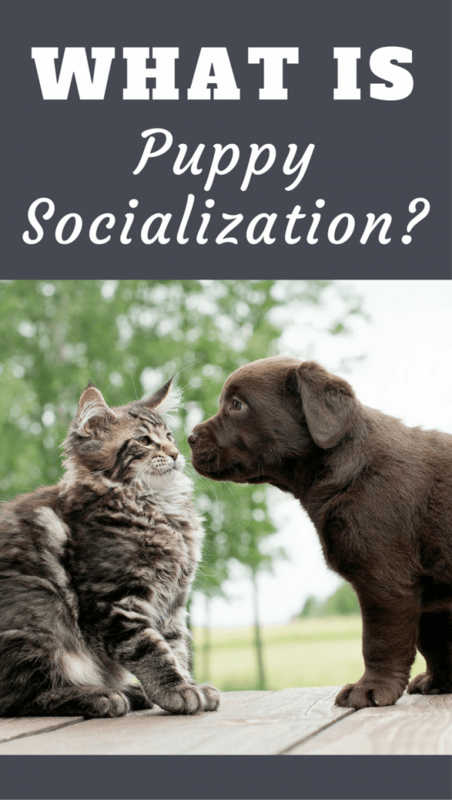 How Should You Socialize Your Puppy? 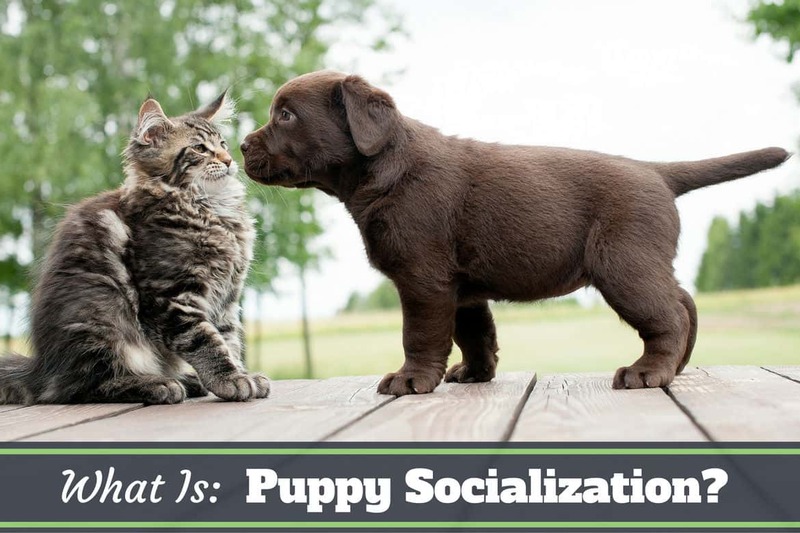 When Is the Best Time to Start Socializing Your Puppy? 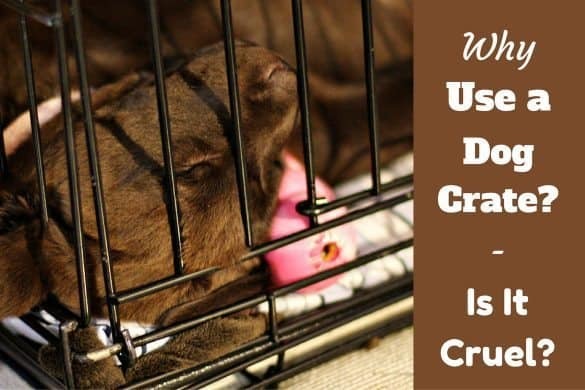 In a nutshell, puppy socialization is the ongoing practice of exposing your Labrador puppy to as many new experiences as you can while they are young enough to soak them up fearlessly and make positive connections with these experiences. A puppy will begin to socialize on their own as soon as they are born. By the time they are eight-weeks old, they will be ready to expand their horizons. You will be charged with providing new and repeated positive exposures, while your puppy does the actual socializing. Remember, every single exposure is a life experience. Puppies are always observing and always learning. Labrador retrievers are naturally social animals, ready and willing to explore the world and everything in it which is great because the more experiences your pup has at a young age, the more confident they will be later in life. They will develop a “been there, done that” attitude that will help them stay focused in every situation, no matter what distractions come their way. Kids? Other dogs? Wheelchairs? Motorcycles? Thunderstorms? A socialized dog will take it all in stride because they know the world is full of surprises and distractions. They’ve seen it all before, and what’s really important to them is staying connected to you, despite the curve balls the world throws at them. A socialized dog can accompany you to the beach, an outdoor restaurant, or an outing in the big city without batting an eyelash. They can weather family emergencies, soccer games, men in uniforms and rowdy teenagers with the utmost calm and composure. They are easy to train, confident, and happy. Does this sound like the dog you want by your side everyday? Puppy socialization can make this dream a reality. Undersocialized dogs will not adjust well to new experiences, changes or events that occur in the course of their lives. Your dog will walk peacefully through your quiet neighborhood, but bark and pull when they see other dogs, bicycles, or skateboarding teenagers. You’ve had rain for days on end. You know your dog doesn’t like walking in the rain, but you have to get them out. The problem is the sidewalks, lawns, and streets are covered with giant puddles. Your dog refuses to walk with you. A small child approaches you with your dog on the street. They ask if they can please pet your beautiful Labrador. You have to tell them no because your dog is too excited and boisterous being approached by children. You live in a one-story ranch and your dog has never walked up or down stairs. When you’re invited to your in-laws for the weekend, your dog must walk up a flight of stairs just to get into the house. Not only do they refuse, but they are fearful and distracted. You have to carry them up and down the stairs several times each day. You’ve had a family emergency and the paramedics are on their way. When they arrive at the door, your dog barks frantically and lunges as the paramedics try to do their job because they’re scared of the strange, brightly colored uniforms. 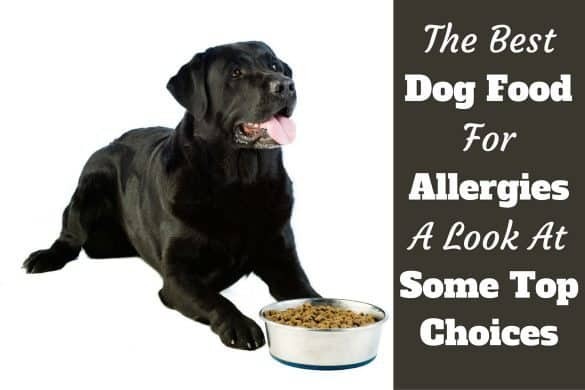 Someone has left the door open and your Labrador escapes just as a jogger rounds the corner near your home. Your Lab chases the jogger and pins them to the ground. Does all this sound unlikely to you? Well sadly, many dogs do behave this way and often it restricts them to a life indoors or on leash, losing out on some freedoms to keep them and everyone around them safe. But never a dog that’s been socialized well. Socialization must consist of positive exposures to all kinds of people, animals and places, objects, sights and sounds, in as many situations as you can think of. There are as many socialization opportunities as there are dogs in the world. Start by getting your puppy used to his immediate surroundings and then expand from there. Your home, your neighborhood, and your town will give you unlimited opportunities. 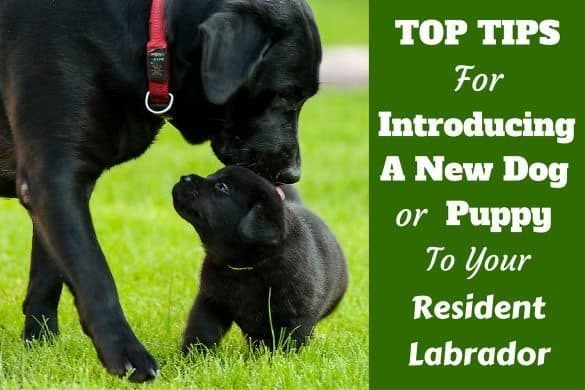 Here are a few key elements to keeping the socialization positive so that your Labrador puppy can build on each experience and gain confidence. Work at your puppy’s comfort level. Every Labrador is different. Some will quickly become over-excited, others will be more cautious, and some will take everything in stride from the get-go. Pay attention to your pup’s body language and level of excitement, and be ready to change your plans if your dog shows any sign of stress. Offer rewards and praise for desired behaviors. As you expose your puppy to new experiences, make sure that you reward them for the behaviors you want to see. Are they calmly observing people, dogs, or other animals? Reward! Did they just walk past a man using a lawnmower? Lots of praise! End every socialization on a positive note. Don’t wait for your dog to run out of steam or push them too far too soon so they fail. Take a deep breath. Not every exposure will be perfect. Relax and enjoy your puppy. If you are tense, your puppy will be too. According to the American Veterinary Society of Animal Behavior, the most critical time for exposing your puppy to new experiences is during the first three months of life. Up to 12 weeks being the best window of opportunity, with the window certainly closed as 16 weeks of age approaches. This is a short window of opportunity when your puppy’s extreme sociability outweighs a fear of the unknown. 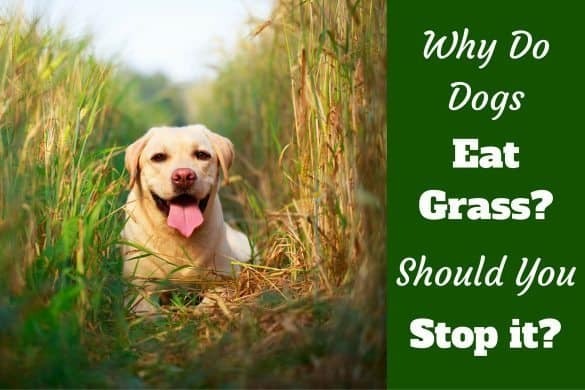 Experiences during this time should include everything you want your Labrador to accept as an adult dog including exposure to all different types of people, other dogs, places, and situations. Between the ages of four and nine months, many puppy’s again show occasional signs of insecurity and fear. Continue exposing your puppy to people, places, and things they are comfortable with, increasing duration and levels of distraction while remaining calm yourself to get them through this phase. As your puppy matures into an adult dog socialization mustn’t stop, it’s far more difficult to overcome fears but socialization mustn’t stop. You need to maintain their confidence, continually vary their life experiences to keep their confidence high. Your Labrador puppy is dependent on you to provide new opportunities for socializing. By including your puppy in your day-to-day activities as much as possible, you will help them to be a confident canine citizen and companion. Once you begin the puppy socialization journey, you will be amazed at how many opportunities there are for your puppy to connect with the world in a positive way. 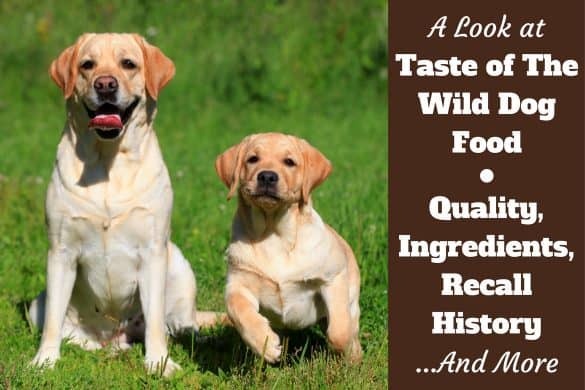 As you help your Labrador navigate new environments, you will also develop a new appreciation for this crazy, amazing, enthralling, and beautiful world we share with our favorite four-legged friends.